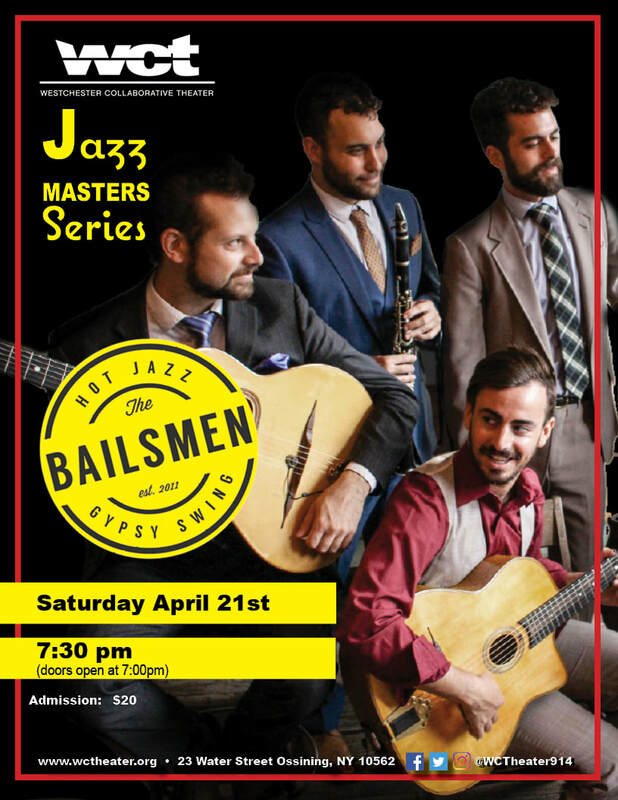 WCT presents The Bailsmen on April 21st as part of the 2018 Jazz Masters Series. ​​Gypsy Swing and Hot Jazz, The Bailsmen punch through a Mardi Gras gumbo of French Bistro, New Orleans Dance Party & NY Sophistication. If you can't bring yourself to New Orleans, The Bailsmen will bring New Orleans to you.